Who is your favourite star? What is it that attracts you to this particular star, among all others? Looks, talent, character, dressing sense or what? For me, all of these count. But I’ve noticed that, no matter what great heights celebrities have attained, somehow, my opinion of them hinges on their love life to a large extent! For example, take Kamal Hassan. There can be no doubt in anyone’s mind, that he is a strong and versatile actor, who has proven time and again that he is one of the best in his field. And yet, everybody also knows that he used to lead quite a colourful personal life. 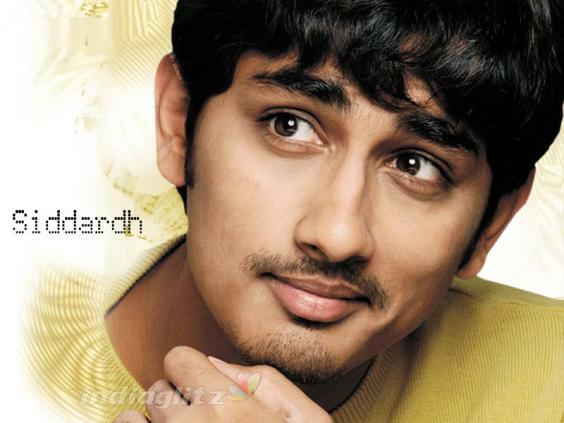 Or consider Siddharth; he too has everything – looks, talent and charm. But he too has had a very lively personal life. Now while I might appreciate these actors, they would never make it to my favourites list, because every time I watch them on screen, my mind makes a sub-conscious association with their personal life. Of course, I accept that I know of all such news only through magazines and other related media. I haven’t sat next to them and observed everything they do, so I have no idea about the nitty- gritty of their personal lives. Plus I also know that whether I like or don’t like Kamal, it is hardly going to matter to him. But still it is a free world and one is entitled to one’s opinion, right? So, getting back on track, the same goes for other celebrities too. Sourav Ganguly might be a wonderful cricketer but to me, his tainted reputation overshadows his remarkable achievements. Or even Tiger Woods for that matter. Strangely I am not so prejudiced with people who break up with their boyfriends/girlfriends and move onto new relationships. In today’s fast paced world when priorities can change overnight, I agree a zillion things can go awry in a relationship; and more importantly I myself am no saint to take a ‘holier than thou’ attitude. But getting married is taking that relationship to a whole new commitment level. I don't mean to say that no one should ever get divorced but somehow I can’t seem to get over people who flit from one partner to the next so brashly and treat relationships so flippantly. What about you? Can you compartmentalize and differentiate an individual’s personal and professional lives and view them separately? Or do the lines blur for you too? I find it difficult to find the line that separates the personal and professional lives of an individual and end up judging a person based on his personal life. What I feel is, people can be talented, but what you are as a person would make a difference. That is how I would like to justify, though as you mentioned, I have no rights to talk about their personal lives, its none of my business. @Ash: Yes of course; but the point is why shld we even be bothered abt the 'person' here - afterall we are there too see their acting or the sporting or whtever na? So shldn't we just be bothered abt how well they act/play? From my experience, it appears that women are more sensitive to an individual's overall personality than just their isolated talents :). I don't particularly care about the personal life of an individual as much as I am interested in their personality and values. I think a person's innate personality invariably shows in the work they do - acting, sports, singing, writing, whatever. For example, I find most movies of Kamal's to have a tinge of arrogance, presumptuousness and incompleteness to them - the concept may be novel, he would have put a lot of hardwork, but something about the movie will carry his personality - a part which disagrees with me. I think that's also why Adele (in recent times) is so popular. All celebrities I adore also have personalities I admire! But yes, my husband is totally different - as expected! I think men don't need to have an emotional connection with the individual to appreciate their work - they only care about the adrenal-producing work that they do ;).